I’m the absent minded professor type, so busy doing a million things at once that I often forget the little things — like my keys! I’ve locked myself out of my house on numerous occasions. Once in only a nightie. And that is how I got to meet my new neighbours, much to their dismay. I have locked myself in my own backyard and had to bang on my garage door until someone heard me. I’ve forgotten my keys to the office and had to wait an hour in the cold for the next person to arrive. I’ve locked my keys inside my car, and had to pry it open with a coat hanger. I’ve lost keys to hotel rooms, and had to pay a fee! I’ve lost my bus pass, on the bus after already touching on … somehow! If you can think of the scenario, I have most probably done it. And according to Bluetooth tracker company Tile I’m not alone. According to Tile, Australian’s spend an average of 29 minutes per day searching for something they have lost*. This is clearly a wide spread problem. Lock Smiths wouldn’t still exist if it wasn’t. Tracker products like Tile and TrackR wouldn’t design products to help people keep track of their belongings; hell our office wouldn’t have a stockpile of spare passes, with a large card of shame attached, if people didn’t constantly forget their passes. I’ve had colleagues have to leave the office early because their spouse / child has locked themselves out. It’s not just an inconvenience; this is a productivity drain. To get around the fallibility of human memory, people have taken to ‘life hacks’ so that they can’t forget their pass. It’s getting caught in my hair. 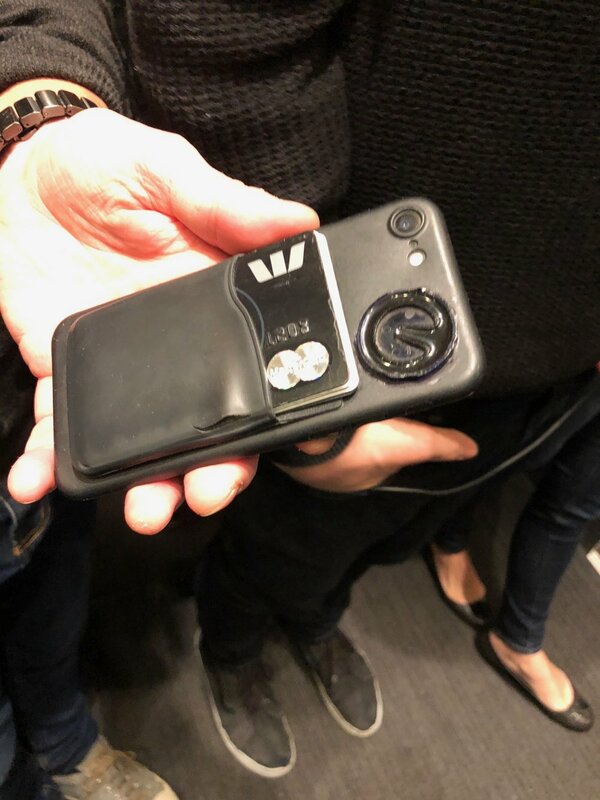 For other’s it’s literally cracking the pass open and super gluing it to their phone case, something they feel they’re less likely to forget. As I usually wear dresses to work, I found there was no where to pin my pass other than wearing it on a lanyard around my neck. The pass would constantly knock against things. I found if I was carrying my laptop and a coffee (which is not uncommon), I had to awkwardly wave my chest area at the readers in a way that felt NSFW. At home I have a Samsung digital door lock. I used an NFC ring as the key for a while, but this gave me eczema and I didn’t like the look of it. I also would forget to put it back on after a shower, which didn’t really solve the problem. Eventually I pried the NFC chip off the ring and superglued it to my pass. The door lock also has a pin code, which is cumbersome when I’m trying to get inside quickly. For the participants in my PhD research they’ve chosen a small needle for the guarantee that, as long as they have their hands (which for the record, none of them have ever forgotten), they can never forget their keys. As part of the research I’ve used myself as a guinea pig. 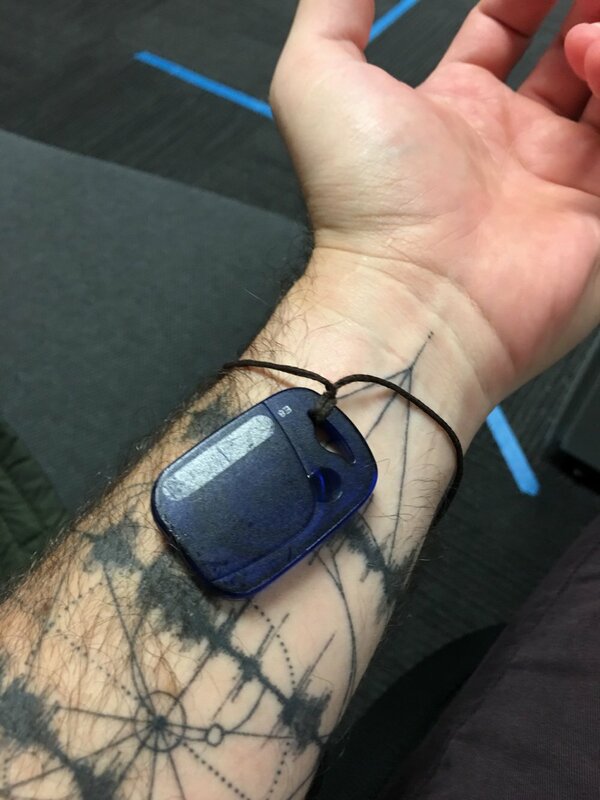 I have 2 microchips inside my body; one is an NFC microchip that is my front door key and the other in an RFID microchip that is my office access. The NFC microchip is in the webbing of my hand. The unique number of the microchip was added as a valid security token to my doorlock. As you can see from the video below, it’s not the most natural user interaction to have to twist my hand to the reader, but it does the job. The RFID microchip is in the “knife-edge” or “karate chop” side of my hand. I cloned my existing work pass onto this chip, replacing its previous unique ID number. If my physical pass is deactivated, because I quit or get fired, this would stop working too. This position is easier to bring up to the various readers around the office, and also means that I can open the door while I’m carrying multiple things. You might be asking, why not use a finger print reader? This is about hacking around existing infrastructure. We’re taking existing NFC / RFID passes and cloning them onto a small microchip, the size of a grain of rice, inserted with a needle like an IV drip. If we were starting from the ground up, installing bio-metric scanners into a new building may be an option. Although, do you really want to be authenticating into your office with your face / thumb print? These aren’t things you can change, like a unique number associated with you — one data breach and you’re in trouble. Obviously, this isn’t for everyone. But I, and my participants, find it useful enough to have the guarantee and convenience of never being about to get locked out again — as long as, of course, this remains voluntary. 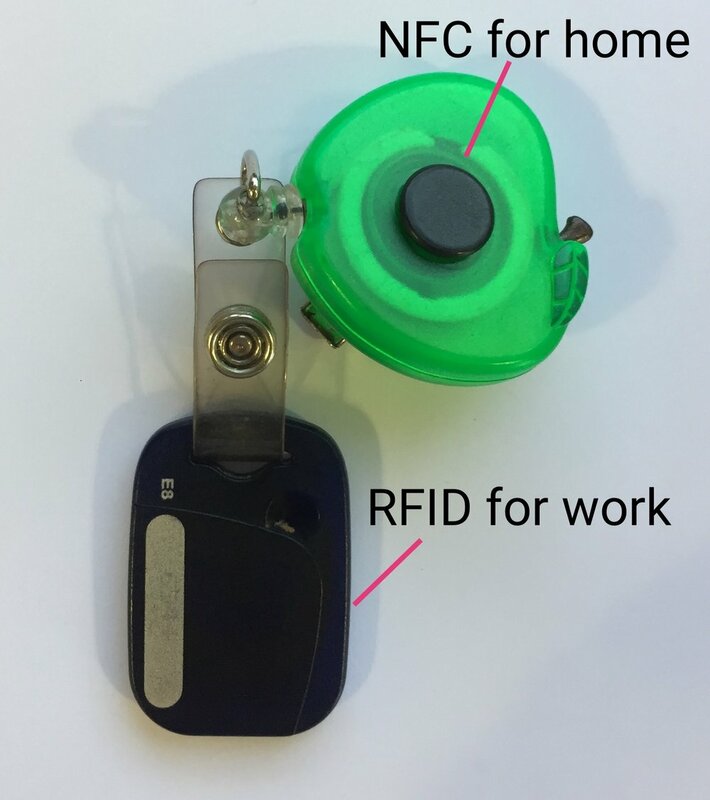 No one should be forced to use a chip instead of a wearable pass.